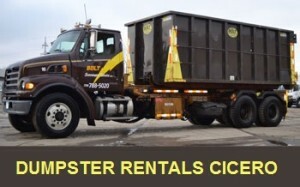 Need a dumpster rental Cicero? Bolt Scavenger has called Cicero “home” for 30 years. Cicero is one of the first suburbs west of Chicago with a population nearing 84,000. Like Berwyn, Cicero has many bungalow style homes and two and three flats apartment buildings. These households need a dumpster and local residents rely on Bolt Scavenger Service for their rentals. When looking for a company to handle your roof tear off, household cleanups, construction debris or additions use Bolt Scavenger. If the rental is before 10 am we guarantee same day delivery of your rental. Our rentals are faster than the competition and priced affordably. Bolt Scavenger Service treats each customer like they’re our best. For years our family owned business has set the bar for reliable dumpster rental solutions in Cicero. We help with projects of any size. From large construction site containers to small debris removal projects and home additions and clean-outs. Giving solutions for commercial debris removal to residential dumpster rental services is our specialty. 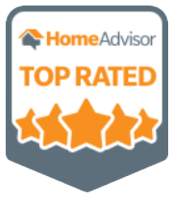 Our goal is to deliver reliable rentals at an affordable rate to each client. We are the best source for dumpster rentals in Cicero, Berwyn, Riverside IL and the greater Chicago area.